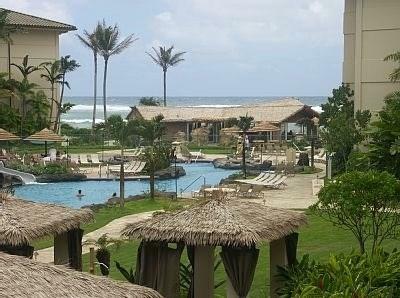 Waipouli Beach Resort is Kauai's newest oceanfront resort with all of the modern-day amenities that you would expect in a Five-Star resort, including a lazy river-style pool with two water slides, three sandy bottom hot tubs, a children's sandy beach pool, and a weight / cardio room. Expansive oceanfront grounds are lushly landscaped with beautiful gardens, sandy beach with bike path, waterfall features, and koi ponds. Amenities also include a weight / cardio room. There is an ocean front restaurant, and a spa/ salon on property as well. 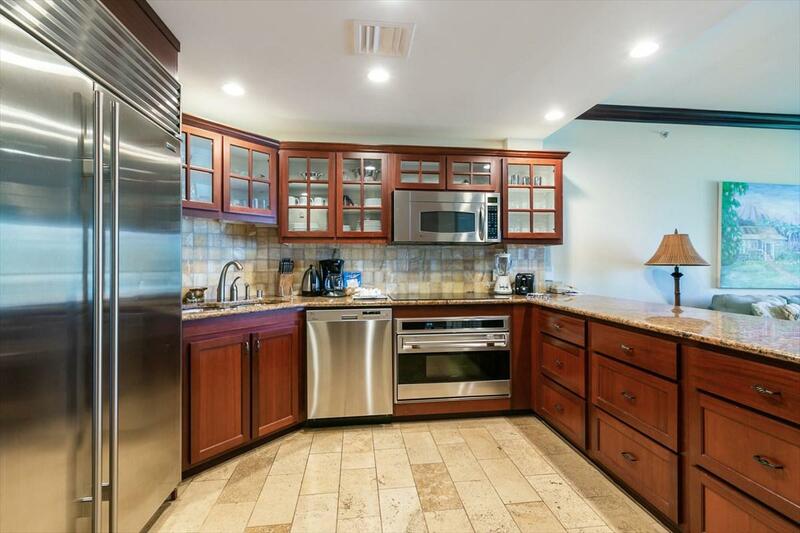 Once inside our one bedroom two baths (1BD/2BH) ocean view condo, you will notice the exquisite gourmet kitchen has stainless steel energy-efficient appliances: SUB-ZERO refrigerator, WOLF cook top, convection oven and built-in microwave. Dishwasher was recently replaced as well as sleeper sofa. The condo is a well maintained, successful vacation rental and is turn-key with designer furnishings, kitchen cook and serve ware, linens and decor. Fine art is not included but can be negotiated. Unit E204 is located in a quiet section of the resort away from the restaurant, or the childrens area of the pool which can be sources of noise. 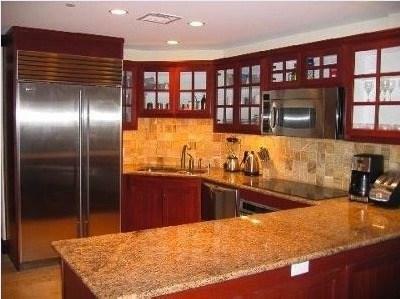 There is central AC in the unit, in addition to fans and slider doors overlooking the pool and ocean. 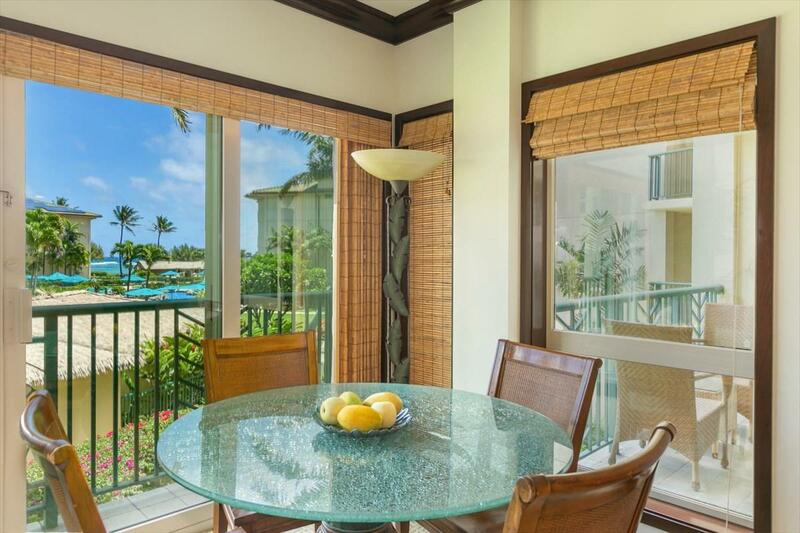 Enjoy the sunrise and your morning coffee on the lanai off the master bedroom.Waipouli is located on the ocean is Kapaa and is convenienlywithin walking distance of shopping, dining, bike rentals and the Kauai bus.